Elliott Wave Technology. 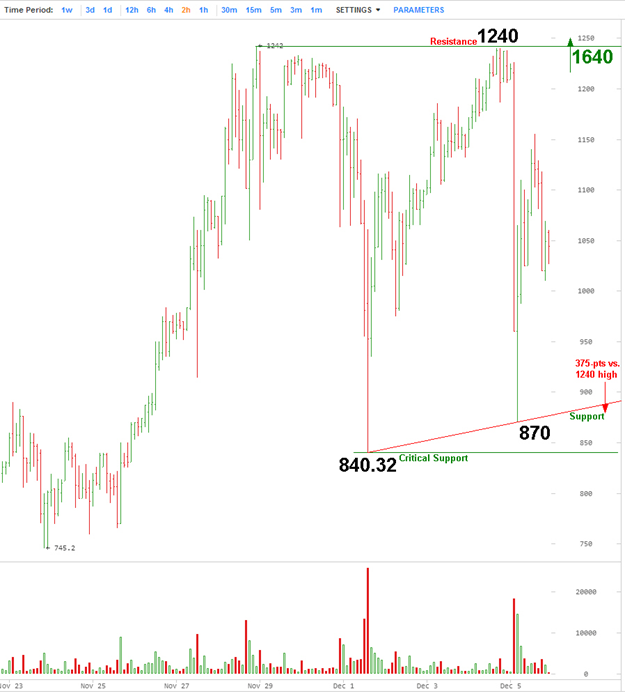 Automated Trading and Investment Strategies: Has the BITCOIN Bubble Burst? 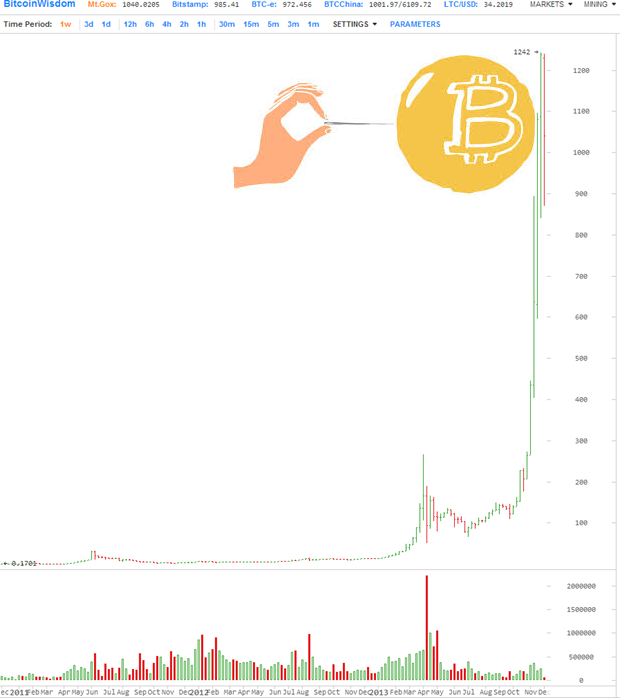 Up an astounding 730,000% in two years, is Bitcoin a bubble? Technically and Quintessentially, YES! Imagine having acquired a modest chunk of this new digital fiat circa 2011 at an FRN price of under 0.17 cents per unit. Each one-thousand-dollar speculation would have mushroomed into a cool 7-million. 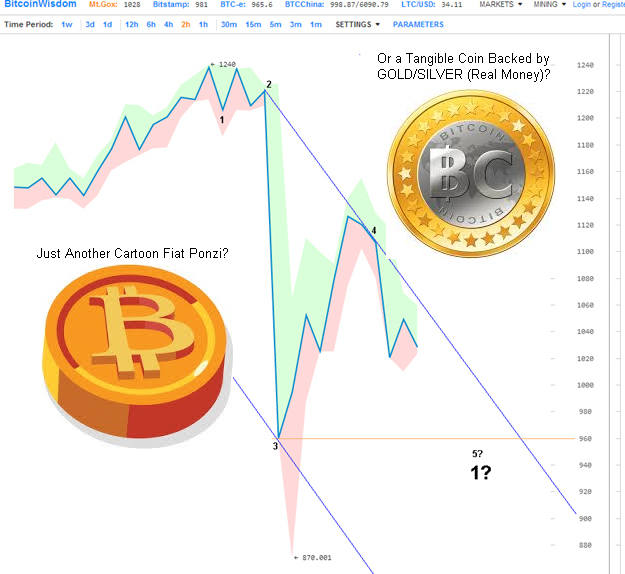 The insane parabola has clearly matured, and considering entering the speculative bitcoin arena at this stage of the game is utter lunacy. Good luck to those into it from a cost basis above the $300 FRN level. The large 30% move down from the $1242 peak sure qualifies as the start of a bursting bubble. If they backed this digital currency with an accompanying tangible coin I would be genuinely excited, one perhaps with a larger Silver core and smaller Gold rim. The coin illustrated on the right would be rather fitting. But noooo, instead we get the cartoon version illustrated on the left, and are bubbliciously graced with a brilliantly orchestrated modern-day version of the all too familiar fiat scheme of synthetic bubble money. 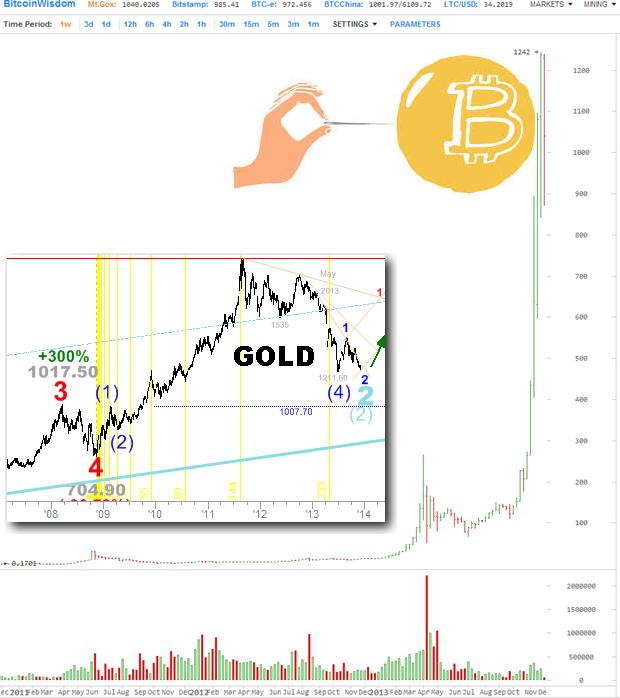 From an Elliott Wave perspective, the move down from bitcoins all time high appears corrective thus far although another leg down to fresh lows could qualify as a five-wave downward impulse despite the massive 4th wave snap back rally illustrated. From a strict price action perspective, so long as 840.32 holds pivot low, a bullish breakout and sustained trade above the 1240 level would defend an upside price target of 1640 FRN’s. Similarly in contrast, so long as 1240 holds pivot high, a bearish breakdown and sustained trade beneath the rising red trendline cites boundary to triggering a 375-pt decline toward the 500 level. 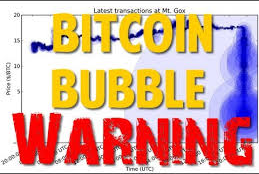 Perhaps another option to begin funding one’s precious metals holdings is to take profits and sell some of that which is overvalued (bitcoin) in order to acquire that which is undervalued (monetary metals). I strongly suggest that anyone holding astronomical profits in bitcoin to consider liquidating at least half, and buy something TANGIBLE, and of enduring long-term value with their windfall proceeds.